how to checkout only the master branch. Fastest way I can think about it is just updating to last revision, then locally on your repository get the revision you'll be using. Thank you. It's working now.!! How do I get old version? Should work fine in git bash. Try to stay away from the GUI. Get used to doing the command line / bash version. It's much easier / faster. 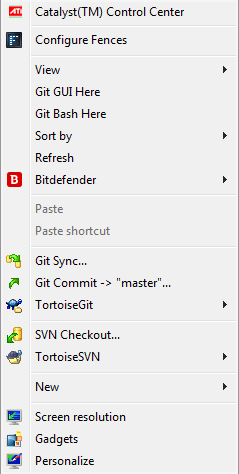 I'm a SVN Fanboy but i thought to give git a try. When creating a fork, how can i update it to the latest version? (Using TortoiseGit). Do i need to create a new remote? I would really appreciate any help with that. No idea what you mean xD but i found how to do it directly on the github site. Hi all. I just download new fresh SVN. As you can see, there are so many folder, I'm confuse with one of that folder that I should use to compile. Then I try to compile the 1st folder. I got that below error. Then I try another folder, until the last one folder, I also get the same error. Why this problem happen ? I just download fresh SVN. But this error come out. Please help me. Thanks you. Not sure how you get it, but in screenshot not present folder with name "master". This "folders" is branches, most time all projects using only master branch as main. So you should somhow download only from main branch. Or better lern how use git, need run one command to get sources or click one button. If you using windows, try github client for git. thanks for the response, I'm pretty sure that my download are not finish due the Internet connectivity. Btw, can someone give me the link thanks contains the master directory using tortoise svn. I need the svn. For future update. Please. Hello, sorry for posting this thread again, i just wanna ask how to fix my Git? its seems there is a problem that is its seems not to be worked. i can't see my "Git Clone" ? anybody knows how to fixed this?